The awards, which are designed to showcase the Innovation and Sustainability in recycled plastic products, will be awarded at the 2019 IdentiPlast Conference dinner at 8 Northumberland Avenue on the evening of 7th March 2019. The winning entries will be presented their trophies (made from recycled plastic yoghurt pots) by PlasticsEurope president, Javier Constante from DOW. 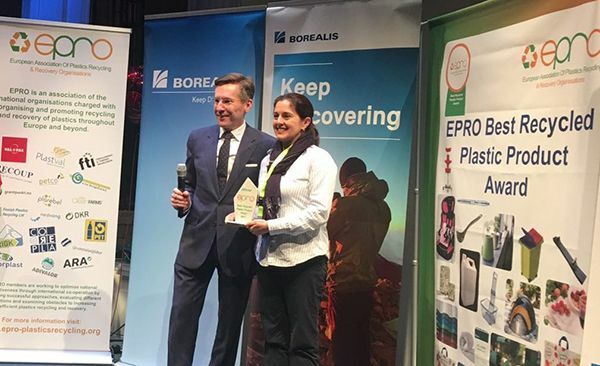 The EPRO judges commented that it had been an extremely difficult task selecting 9 finalists, commenting that the entries all clearly demonstrated a commitment to pushing the boundaries of the recycled plastic applications. Information on the IdentiPlast Conference and dinner is available at https://www.identiplast.eu/.